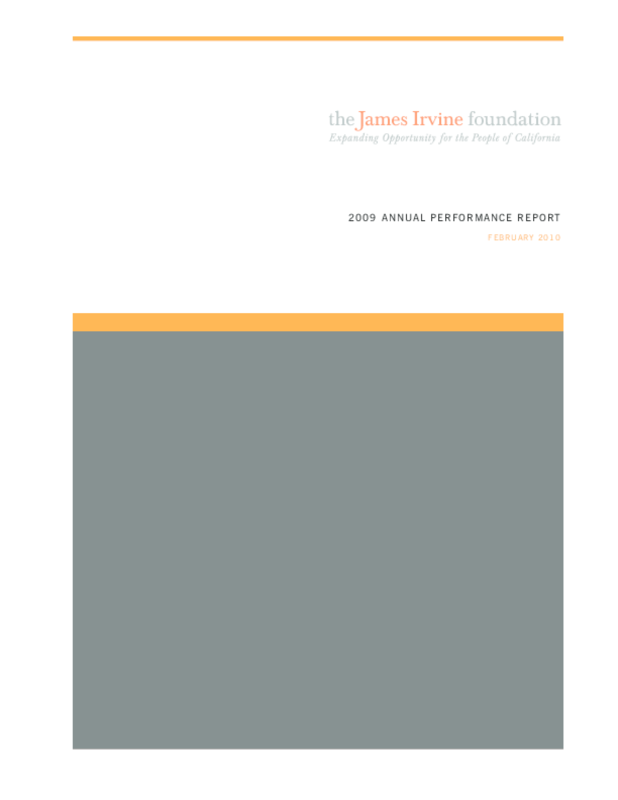 Analyzes 2009 program impact in terms of grantmaking; outcomes; and results, learning, and refinement; as well as institutional effectiveness in terms of leadership, constituent feedback, and finance and organization. Includes selected indicators. Copyright 2010 James Irvine Foundation.